MIGHTY Sports finally stopped the bleeding, and it took a vintage performance from gunner Gary David to end it all. 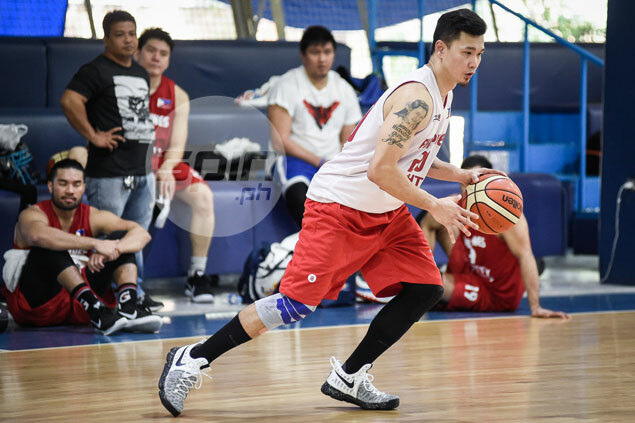 The Philippine-based club won't be heading home winless after all, as it dismantled Ball Above All, 94-80, to ends its Dubai International Basketball Tournament on a winning note Thursday (Friday Manila time) in Dubai. David turned back the hands of time as he scored all of his 15 points in the fourth quarter, a stretch in which Mighty Sports outscored the home team 34-14. The four-time PBA scoring champion made five three pointers in the payoff period, including the dagger which gave Mighty an 86-75 lead with 2:02 left in the game. David's outburst came at the most opportune time for coach Chares Tiu after seeing his team dropped one heartbreak after the other in their previous five games. While David was busy reliving his old days, young star Jeron Teng showed flashes of brilliance that made him last year’s top amateur basketball player. The two-time UAAP champion finished with his best performance of the tournament, finishing with 22 points on 8-13 shooting from the field to lead Mighty's comeback from a 13-point second quarter deficit and set the stage for David's explosion in the payoff period. Justin Brownlee was reliable as always finishing with 25 points and 14 rebounds, while JC Intal also cracked the double digit barrier with 10 points.